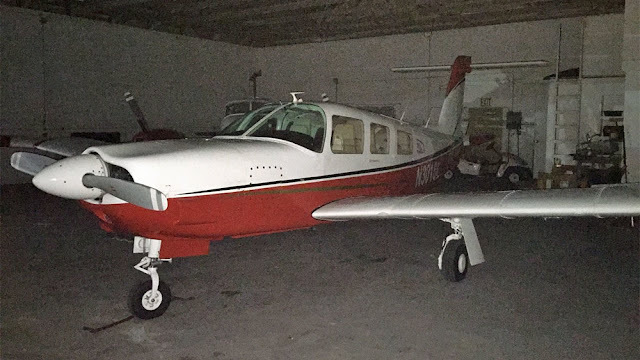 On February 1, 2019, about 1315 eastern standard time, and about 20 miles east of West Palm Beach, Florida, radar contact was lost with a Piper PA-32RT-300, N3016L. The private pilot and the passenger were presumed fatally injured. The airplane was presumed to have been destroyed upon impact with the Atlantic Ocean. Instrument meteorological conditions prevailed, and an instrument flight rules (IFR) flight plan was filed for the flight which departed Palm Beach County Park Airport (LNA) about 1300 and was destined for Leonard M. Thompson International Airport (MHH), Marsh Harbour, The Bahamas. The personal flight was conducted under the provisions of Title 14 Code of Federal Regulations Part 91. A preliminary review of voice, radar, and weather data revealed that the airplane departed LNA under visual flight rules and obtained an IFR clearance shortly after takeoff. The airplane was cleared to progressively higher altitudes and provided vectors to avoid "cells" and "areas of heavy precipitation" in its flight path but diverged from assigned headings. The controller queried the pilot about his inability to maintain assigned headings, and the pilot reported that his autopilot "had kicked off" and that "the winds are really weird up here." He also reported unspecified "problems" with the autopilot. About 1310, the airplane slowed to about 70 knots groundspeed on a northeasterly heading before it began an accelerating 90-degree right turn to the south. The airplane then performed a 180-degree left turn to the north before turning right to an easterly, generally on-course heading. About 1813, the airplane entered a left turn that varied in groundspeed and altitude when the controller again asked, "…appears you've turned back to the northwest and...are you going to turn back eastbound?" The pilot replied, "I don't know what's going on up here. I'm working on instruments…acting really goofy here. I'll come around to 090 [degrees] again." The controller advised the pilot to try to maintain 6,000 ft. and cautioned him to go no higher than 7,000 ft and added "looks like you are getting pushed up in the updrafts." The pilot did not acknowledge the controller, and there were no further communications from the airplane. Shortly thereafter, the airplane turned and descended from a northerly heading sharply to its right. The radar track tightened to the right as the target rapidly descended then disappeared about 1315 in an area that depicted heavy precipitation. According to FAA airman records, the pilot held a private pilot certificate with ratings for airplane single-engine land and instrument airplane. The pilot's most recent FAA third-class medical certificate was issued March 2, 2017. He reported 1,452 total hours of flight experience on that date. According to FAA records, the airplane was manufactured in 1979 and was equipped with a Lycoming IO-540 300-horsepower engine that drove a controllable-pitch propeller. The airplane's most recent annual inspection was completed April 2, 2018 at 3,846 total aircraft hours. At 1309, weather recorded at West Palm Beach International Airport (PBI), 20 miles west of the accident site, included broken ceilings at 1,200 ft, 2,100ft, and 3,600 ft. Cumulonimbus clouds were overhead in all quadrants moving north. The visibility was 2.5 miles in moderate rain and mist with calm winds. The temperature was 21° C, the dew point was 19° C; and the altimeter setting was 30.18 inches of mercury. The United States Coast Guard conducted a search for the airplane by sea and by air over an area of 1,115 square miles without success. After 36 hours, the search was suspended on February 3, 2019. Those who may have information that might be relevant to the National Transportation Safety Board investigation may contact them by email eyewitnessreport@ntsb.gov, and any friends and family who want to contact investigators about the accident should email assistance@ntsb.gov. Guy Maira studied the FlightAware track of Ken Simmons' plane: Maira, here with a Gulfstream V, has been a pilot for forty five (45) years. Based on his experience, he suspects Simmons may have tried to fly through a hole between two (2) weather cells. The cells may have closed in as he got closer, prompting him to turn to the south. My friend Guy Maira has been a pilot for 45 of his 62 years. His aviation record is top-notch: 21,000 hours of flight time with no accidents or violations, 24 years spent flying golfer Greg Norman around the world, 43 years as a flight instructor. “An airplane has a large windshield and no rear-view mirror. And sometimes you’re stopped cold. 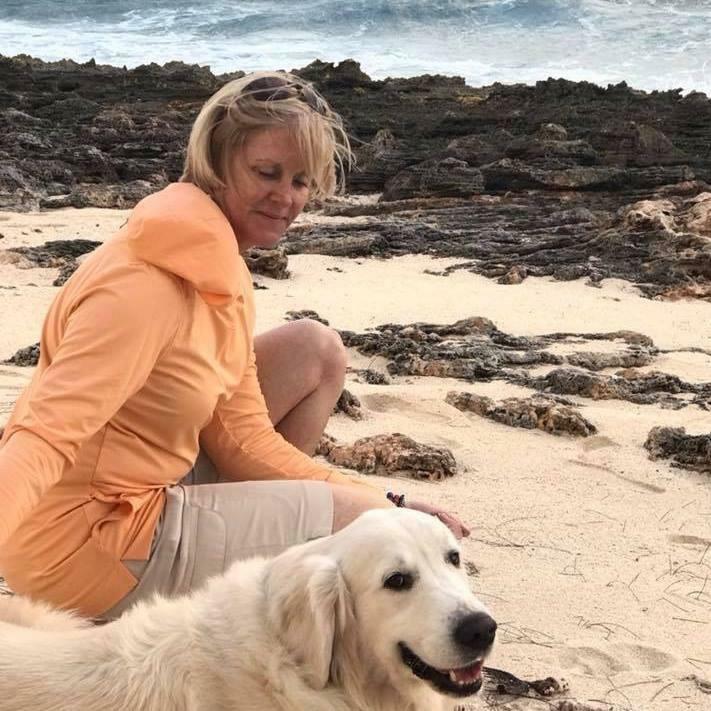 Sometimes, what happens is so unthinkable, the only thing you want to do is go back, back to the world we knew before our friend Ken Simmons, his wife, Alice, and their two golden retrievers, Bailey and Lily, vanished from the face of the earth. Ken and Alice were headed Feb. 1 to their “happy place,” their “safe place,” friends say: their waterfront retreat on Guana Cay in the Bahamas. It’s so private and peaceful in Guana Cay that you have to catch a ferry to get to their four-bedroom home. Once there, it’s heaven: water, sun, fishing and friends all around, rum and Diet Coke on the deck. Alice loved to walk with Bailey and Lily on the beach and collect sea glass. They had a second home in the Bahamas, too, on Andros Island, a place Ken and Alice hoped to turn into a bed-and-breakfast. Alice decorated two bedrooms upstairs, and Ken bought a skiff for future guests to pole through the water and look for bonefish. Andros was where Ken had done countless volunteer trips since he became a veterinarian nearly 40 years ago. He brought medical supplies and treated injured animals there, says French, who went on many of those trips. Always, all Ken’s life, there was fishing — at the spillway, at the beach, any place he could drop a line in the water. “Ken was an amazing rod-and-reel fisherman,” French says, and he was equally skilled at spearfishing. For the past dozen or so years, Ken and Steve were part of a group of guys who love to free dive — that is, hold their breath for minutes at a time and dive down 50 feet or so into the water. The patriarch of the group, Tony Belcher of Belcher Oil in Miami, gave them the name “Black Aces.” Last summer, they went to Cat Cay to bury Tony at sea. He had died May 2 at 75. Guys like Tony, Ken and Steve work hard and play hard. “Do we like the adrenaline rush? Heck, yes,” French says. The Ken I knew, the Ken I grew up with since age 10, was like that, too. He was best known as the veterinarian behind Simmons Animal Hospital on Lake Worth Road in Greenacres. He started his clinic in 1982 with 960 square feet. Eventually, Simmons became one of the most successful pet vets in Florida, with more than 50 people on staff and fancy boarding kennels: Purrington Inn for cats and Barker’s Hotel for dogs. Ken built a waterpark resort for dogs, Barkeritaville Lagoon — of course, he did, because Ken Simmons chased his dreams. Guy Maira dug out his second-grade picture from Sacred Heart Catholic School in Lake Worth to prove this point. There’s Kenny, sitting up straight, big smile, right in the front row of Mrs. Benken’s class. Maira is in the back, where the rascals sit, directly in front of the teacher. Little Kenny grew up to be very tall, very business-savvy, very forward-thinking, very compassionate Kenny. He was a pillar, literally: 6-foot-7 and whip smart, a star of our Class of 1974 at Lake Worth High School and as focused as a laser beam. He announced to his biology teacher, Betty Cross, that he wanted to become a veterinarian. Ken was so exact and so driven, Cross remembers, that he’d be waiting at the lab every morning before she opened it. “If he couldn’t get an experiment exactly right, he would be in that lab every minute,” says Cross, who taught at Lake Worth High from 1961 to 1997 and now lives in The Villages. She’s the one who first showed Ken how to dissect cats, and how to inject hormones into chickens to see what would happen to them. She showed him that science should be used for good purpose, and she knew Ken was going places. Ken’s prodding led Fethke to a college career running competitive track. Fethke still runs. The Simmons brand of serendipity also struck 30 years ago, when he was growing his clinic, and he decided an adjacent pet store would be a good idea. He walked into a pet shop on Forest Hill and Military Trail, looked around and spotted a piece of decorative coral he wanted to buy. The price: $74.99. He asked the guy at the counter, Mark Bullock, then 26, if he would sell it to him for $50. Simmons looked at him, shook his head and chuckled. “I like you,” he said. Bullock said sure, but he didn’t know much about fishing. Mark’s Ark is now 28 years old, with 16 employees. Guy Maira learned to fly from a fearless, straight-talking, retired Marine Corps aviator, Col. J. Hunter Reinburg. A fighter pilot in both both World War II and the Korean War, Reinburg shot down seven enemy planes in aerial combat and won a Silver Star for his heroics flying in the dark, over mountainous terrain, to bomb enemy targets. On May 29, 1976, 19-year-old Guy was flying three friends back home from the Bahamas in a single-engine, four-seat Cessna 177RG Cardinal. Six other members of his group, West Palm Beach residents who had gone to the Bahamas for a fencing tournament, were flying home at the same time, in a six-seat Cessna 210 Centurion. “Weather reporting in the out islands was nil in those days,” Guy remembers. The two Cessnas were flying 12 miles apart, about 40 miles off the shore of Palm Beach County, when they hit the same vicious squall line. Violent updrafts and downdrafts slammed Guy’s plane up, down and sideways, with airspeeds going from zero to the red line. “We were getting jerked up and down so bad, I swear I could hear the attach bolts creaking on the wings,” Maira recalls. Maira landed the Cessna Cardinal safely. The Cessna 210 crashed in the Atlantic Ocean with no trace of the pilot or the five fencers, who ranged in age from 25 to 49. Three days later, one piece of debris was found, a trim tab from a Cessna 210. A trim tab is used to stabilize a plane’s altitude. No bodies were ever recovered. “For two years after I went through that squall line, I was paranoid to go anywhere near weather,” Maira says. Alice McCormick was at Nova High School in Dania in 1976. She then went to Broward County College and on to the University of Florida, where she studied occupational therapy. When the petite Alice met the strapping Ken, then in veterinary school at UF, “it was love at first sight,” says their friend of 25 years, Lyn Tate. Tate’s children Linda and Rock Jr. went to Our Savior Lutheran School and then Cardinal Newman High School with Alice and Ken’s sons Christopher, 30, also a veterinarian, and Matthew, 27. Both families live on Hypoluxo Island. Ken and Alice lived on the northwest part of the island. From their deck, they could see the expanse of the Intracoastal Waterway, to the north and to the south. Several times a week, Lyn would see Alice running with Bailey or Lily. Here was this tiny blond woman bouncing by with her big, blond dog — usually just one, because two might tangle their leashes around her ankles. “Seeing that wonderful woman so often, that is what I’m going to miss so much,” Lyn says. Alice and Ken had a vibrant energy between them. Alice specialized in hand therapy, and she continued to see a few patients, even after she started doing accounting at the pet clinic. For Alice’s 50th birthday, Ken flew eight of her friends, including Lyn, out to Guana Cay to surprise her. Their boys. Chris and Matt. They were Alice’s world. Alice also illuminated the periphery around her laser-focused husband. She was the one who would whisper to him: Look over here now. Pay attention over here. “Ken was such a larger-than-life individual, people always looked his way,” Bullock says. “They didn’t always see the 105-pound woman standing next to him. But this was a woman with fortitude and guts and the ability to maintain a life with an individual like Ken and make him the best he could be. For Ken Simmons, jumping into his plane and flying to the Bahamas was like jumping into a car and driving to the mall. He’d been flying from the Lantana Airport to the Bahamas about twice a week for 20 years, says Bullock, who also has his pilot’s license. He flew his plane in 2012 when he was trying to save a retired Florida Highway Patrol K-9 named Drake, who was shot four times during a robbery. Simmons carried the German shepherd to the plane and flew to Gainesville for surgery. When the dog couldn’t be saved, Ken launched a Kickstarter campaign to create a bronze memorial for Drake. Sheriff Ric Bradshaw and dozens of deputies and K-9 dogs helped dedicate the memorial. Drake’s sculpture is in the gardens of Simmons’ pet hospital. So are hundreds and hundreds of memorial stones with pets’ names on them. Ken made a memorial — no charge — for every pet his clinic treated but could not save. Lyn and Rock Tate’s dog, Queenie, has one. Beating inside that hard-driving, laser-focused business guy was a tender heart. “He took care of everyone,” says Steve French, who worries now about two young people — the Simmons boys — and two elderly people, Ken and Alice’s Andros Island neighbor, Vern, who depended on Ken for medical care. And Ken’s mother, Lorraine. Ken and Alice Simmons and Bailey and Lily boarded their Piper Saratoga and took off from Palm Beach County Park Airport in Lantana around 1 p.m. on Feb. 1. The fixed-wing, single-engine, six-seat plane was headed for Marsh Harbour in the Bahamas. Ken and Alice planned to spend the weekend in Guana Cay. They took off shortly before flight restrictions were set to go into place because of President Trump’s visit to Mar-a-Lago. Steve French thinks the restrictions added to Ken’s “got-to-go” decision. It was raining, bands of thunderstorms were in the area, and a marine advisory was in effect. Mark Bullock has been a pilot for 20 years, like Ken. “I’m afraid to fly, and I’m a pilot,” he says. “Ken was a good pilot. He was an experienced and confident pilot with an instrument rating. He’s on an IRF (no visual reference) flight plan, and that’s like a highway in the sky — a highway he’s been on 1,000 times. Bullock looked at the weather radar for the time Ken took off. What Bullock couldn’t see on radar, what no pilot of a small plane can see: catastrophic wind shear inside a storm cell. Even though Simmons had XM weather radar — far better than what Guy Maira had in 1976 — that radar has a three- to five-minute delay. He could have turned one way, and when the radar updated, find that it was the wrong way. Or maybe he had an instrument failure. But if he hit severe vertical shear inside that cell, Bullock says, that could be tornado-status wind. FlightAware, a website that tracks flights, shows the plane leaving the Lantana airport and then, just more than 15 minutes later, zigzagging multiple times. It climbs 729 feet per minute, drops 814 feet per minute, drops another 438 feet per minute — then drops off radar about 23 miles east of Palm Beach. The Coast Guard searched more than 1,000 square nautical miles over the next 32 hours. The Palm Beach County Sheriff’s Office, other agencies and Simmons’ friends with planes helped search. No one will ever know what really happened. Was “spatial disorientation” a factor? That was the cause of John F. Kennedy Jr.’s plane crash — also in a Piper Saratoga. Kennedy got confused at night and flew his plane right into the ocean west of Martha’s Vineyard in 1999. Of course, no one has a billion years. Ken Simmons got 62 years. Alice would have turned 60 in April. About 12 years ago, when we all turned 50, Ken called me and asked me to go to lunch. He called our friend Martha Hamblin. He called Betty Cross. He called a bunch of people. He wanted to reconnect with his old friends, he told me, because he had worked so hard, driven so hard and focused so hard, he missed us. He came to our last reunion and hugged his old lab partner, Vicky Sorgini Bidwell, and his old running buddy, Rick Fethke. Ken was a multimillionaire by then, the most successful person in our class in terms of money, and he was about to get richer. He sold Simmons Animal Hospital to VCA a few years ago. He was finally allowing himself to stop and do what Alice always wanted him to do: Look at the periphery, pay attention to the people you love. “I don’t want to be that old guy who dies and the only people at his funeral are business acquaintances he barely knows,” he told me. Ken Simmons was still the boy in the front row, reaching for reassurance. He didn’t want to look back with regret. Dogs are heroes, he believed. Humans have to try harder. The best humans are complex and kind, flawed and strong. Sometimes, they can’t be saved. Sometimes they die. But they should never be forgotten. MIAMI — The Coast Guard suspended its search for a downed Piper Saratoga aircraft with two people aboard 23 miles east of Palm Beach Sunday. 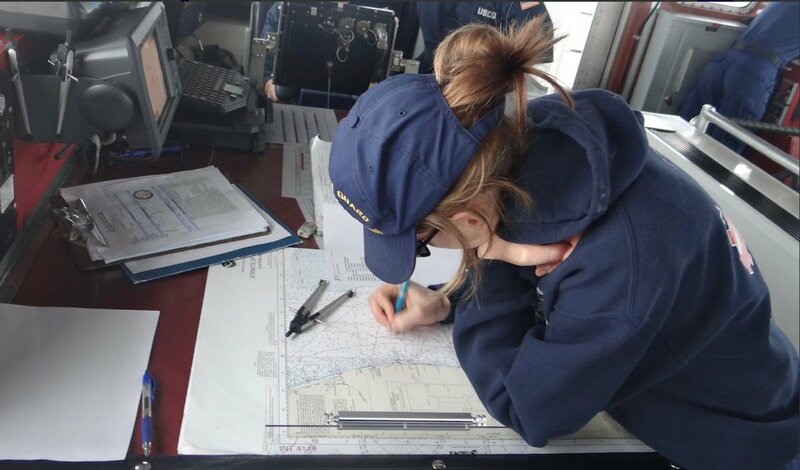 The Coast Guard conducted maritime and aerial searches for more than 32 hours and concentrated in an area of 1,164 square nautical miles. Numerous other searches were conducted by Palm Beach Sheriff Office and partner agencies. The Coast Guard began searching after Coast Guard Seventh District command center watchstanders received notification from the Federal Aviation Administration Friday the Piper Saratoga aircraft with two people aboard went down 23 miles east of Palm Beach. Coast Guard Cutter James (WMSL-754), Coast Guard Cutter Paul Clark (WPC-116), MH-65 helicopters, an HC-144 aircraft from Air Station Miami, Station Lake Worth Inlet along with partner agencies, searched an area 23 miles east of Palm Beach, which was the last known position of the aircraft. WEST PALM BEACH, Florida — The U.S. Coast Guard announced they are suspending the search for a downed plane Sunday afternoon. The Coast Guard has been searching for a downed Piper PA-32RT-300 Lance II aircraft with two people and two dogs on aboard since Friday afternoon.The plane went down approximately 23 miles east of Palm Beach. Coast Guard officials say they conducted maritime and aerial searches for more than 32 hours and concentrated in an area of 1,164 square nautical miles. Numerous other searches were conducted by Palm Beach Sheriff Office and partner agencies. LANTANA, Fla. (CBS12) — We’re still working to learn more about the victims on board the plane that crashed into the ocean around 1:00 p.m., Friday afternoon. According to the FAA, a Piper PA-32RT-300 Lance II aircraft crashed into the water off of Palm Beach, with two people and two dogs. The plane’s tail number is N3016L. It is registered to Ken Simmons of Lantana, a beloved veterinarian. CBS12 News spoke with his relatives Friday evening, but they did not want to go on record because they are waiting for answers. “He’s just a great guy,” Candace Neff, Ken’s neighbor, said. Neff lives across the street from Ken, and his wife Alice, along North Atlantic Drive. She said Dr. Simmons always helped her prepare for a big storm or hurricane. The U.S. Coast Guard said on Twitter they will continue to search throughout the night for the Piper Saratoga aircraft, which is registered under Simmons Pet Properties, LLC. The organization links to their Lantana home, according to the FAA. On the Florida corporation website, sunbiz.org, Ken and Alice Simmons are the authorized persons for that company. FAA records also show Ken Simmons has had a pilot’s license since 2009. In the meantime, Candace and neighbors are sending their thoughts and prayers. “My prayers are with them, and my best wishes,” she Neff said. As of Friday evening, relatives tell CBS12 News loved ones who live out of town are making their way to Palm Beach County. The did not want to comment any further as this is still an ongoing search and rescue. 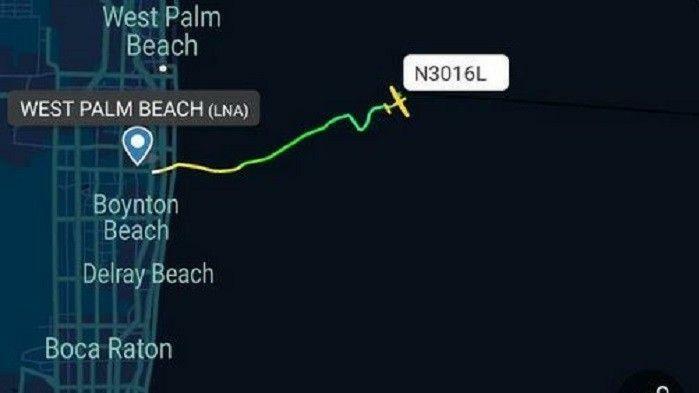 WEST PALM BEACH — The Coast Guard searched the Atlantic about 20 miles east of Palm Beach for a Piper PA-32RT-300 Lance II aircraft with two adults and two dogs aboard that crashed into the water Friday afternoon, according to the U.S. Coast Guard and the Federal Aviation Administration. One passenger aboard was a longtime Palm Beach County veterinarian who ran an animal hospital and pet daycare center in Greenacres for several years. The plane is believed to have gone down at about 1 p.m., the FAA said. It said air-traffic controllers alerted it to the crash. The plane was heading to the Bahamas from the Lantana airport, Jonathan Miller, CEO of Galaxy Aviation, confirmed Friday. Galaxy is Palm Beach County Park Airport’s private fixed-base operator. The National Weather Service’s Miami office said a cluster of showers and thunderstorms was over the area at the time the plane disappeared, and that part of the Atlantic was under a marine-weather advisory. Roy Ellington, hospital manager at VCA Simmons Animal Hospital in Greenacres, confirmed that 30-year veterinarian Ken Simmons was on the plane but did not know who flew with him. He said Simmons had sold his animal hospital and pet daycare center at Lake Worth Road near Military Trail but continues to private veterinary work. Simmons, a Lake Worth native who studied veterinary medicine at the University of Florida, has often piloted his own plane to pick up pet patients in the Bahamas. In 2012 he treated Drake, the retired Florida Highway Patrol K-9 dog who was shot four times during a robbery. 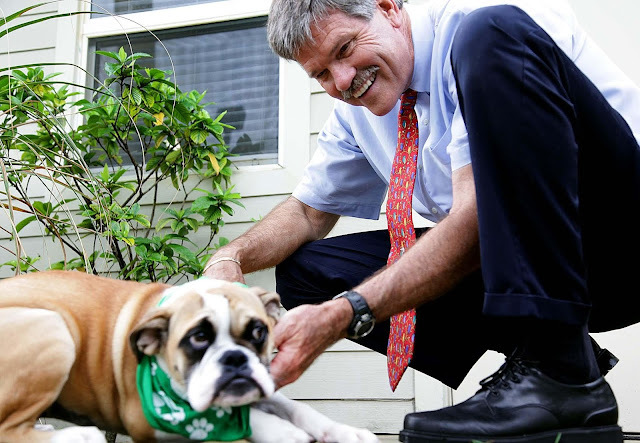 Simmons flew the dog in his own plane to the University of Florida School of Veterinary Medicine, and he and its owner made the difficult decision that the dog was beyond saving. 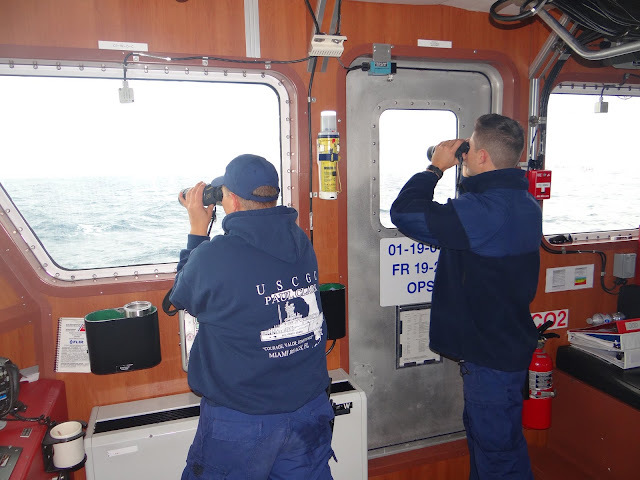 The Coast Guard said it sent a helicopter, a cutter and a 45-foot response boat to search for the plane. The Palm Beach County Sheriff’s Office also provided a marine unit. The Coast Guard said in Twitter postings that the plane was a Piper and provided a tail number that showed it was registered to Simmons Pet Properties of Lantana. Databases show the plane is a Piper PA-32RT-300 Lance II, built in 1979 in Vero Beach. Aircraft sales postings for similar models say the plane is a 28-foot six-seater. According to the Flight Aware tracking site, the trip was the fourth by that plane in the past two weeks, all to Marsh Harbour, an island about 180 miles east of Palm Beach and about 100 miles north of the Bahamas’ capital of Nassau. Flight aware said the plane left at 1 p.m. It said the plane flew Jan. 19 from Andros Island to Palm Beach International Airport, and then on to Lantana. It flew Jan. 25 from Lantana to Marsh Harbour and on Monday from there to Palm Beach International Airport. The U.S. Coast Guard’s search for a downed plane in the ocean approximately 23 miles off Palm Beach County will continue through Friday night, authorities said. Two people and two dogs were on board the Piper PA-32RT-300 Lance II when it took off from Lantana at 1 p.m., according to officials and flight records. The fixed-wing single engine plane crashed into the water shortly after takeoff from the Palm Beach County Park Airport, said Kathleen Bergen, spokeswoman for the Federal Flight Administration. The plane had a tail number of N3016L and was registered to Simmons Pet Properties LLC in Lantana, online records show. “We’re still looking for the people and the aircraft,” Seamen Erik Villa-Rodriguez said Friday. The seven-seater was en route to Marsh Harbour in the Bahamas, which is approximately a 73-minute flight, records show. A radar map on the flight-tracking site flightaware.com shows severe thunderstorm activity and the plane flying directly into the heart of it before it falls off the radar. The plane hit heavy turbulence about 10 minutes into the journey with steep climbs, dropping descents and seemingly spinning in every direction, the Piper’s online log shows. “This is an airplane that is being tossed violently in the sky,” said Robert Katz, a commercial pilot and certified flight instructor who has been flying for 38 years. The log shows that in the minutes before the Piper crashed, it climbed 729 feet per minute, followed by immediate descents of 814 feet per minute and then 817 feet per minute. The final radar hit shows a further descent of 438 feet. 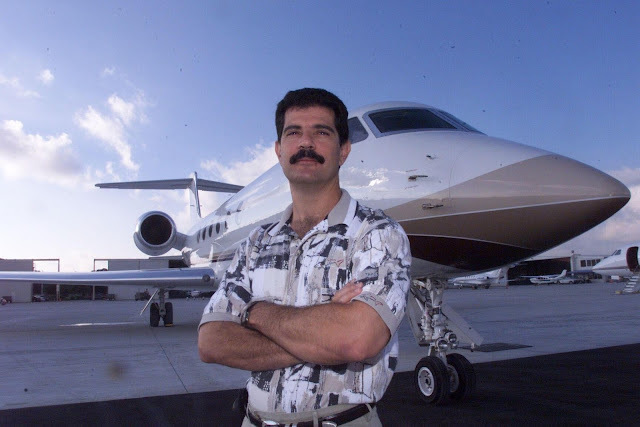 Katz, of Dallas, Texas, tracks plane crashes nationwide. Under those conditions, the plane would be thrown so ferociously that the wings would be ripped off the aircraft, he said. “This would happen very quickly and the pilot would be fully aware of what was going on and would be terrorized,” Katz said. The Palm Beach County Sheriff’s Office has joined in the search and rescue effort. The Coast Guard launched a helicopter crew from its Miami station. From the Lake Worth inlet, the Coast Guard sent out a cutter and a 45-foot response boat, agency officials said. The FAA will investigate and the National Transportation Safety Board will determine the probable cause of the accident, Bergen said. WEST PALM BEACH, Florida (CBS12) — The Coast Guard says it will search throughout the night for a down plane off the coast of Palm Beach, carrying two people and two dogs. According to the FAA, a Piper PA-32RT-300 Lance II aircraft crashed into the ocean around 1 p.m. on Friday with two people on board. The Coast Guard says two dogs are also on board. The plane's tail number is N3016L, and according to FAA records, it's registered to Simmons Pet Properties LLC., associated with Kenneth Simmons. There's no official confirmation Mr. Simmons and his wife Alice were on the plane. According to FlightAware, the plane left the Lantana Airport at 1 p.m., with a scheduled arrival at Marsh Harbour in the Bahamas at 2:15 p.m. The plane's track on FlightAware shows it hitting a heavy storm. The plane made several trips back-and-forth from Marsh Harbor in the past week, according to FlightAware records. The Palm Beach County Sheriff's Office says it is assisting the Coast Guard with the search-and-rescue efforts. The Coast Guard dispatched an MH-65 Dolphin Helicopter crew from Coast Guard Air Station Miami, the Coast Guard Cutter Paul Clark (WPC-1106) and a 45-foot Medium Endurance Response Boat from Coast Guard Station Lake Worth Inlet to help with the search-and-rescue operation. The FAA is investigating and the NTSB will determine the probable cause of the crash. March 02, 2017: Aircraft landed gear up. 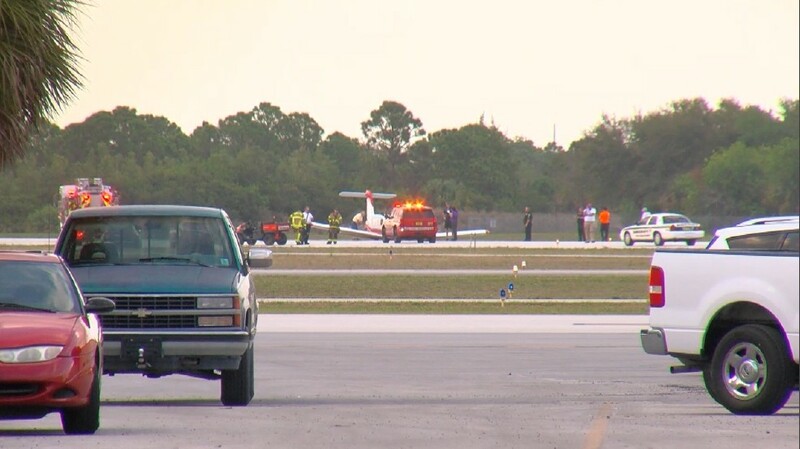 LANTANA, Fla. (CBS12) — A small plane had a hard landing at Lantana airport after the landing gear did not collapse, according to Fire Rescue. Two people were on board. Fire Rescue is on scene evaluating and say there are no injuries or fire reported.